This hero of the anti-racist protest movement (and so much more) has died. 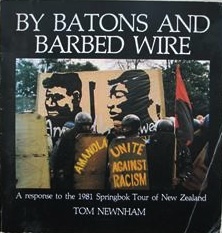 Farewell indeed to Tom Newnham whose book By Batons and Barbed Wire, about the 1981 Springbok Tour and the popular social uprising that disrupted it — found its way into many homes, including mine. He was an activist in more ways than that. A lion. That ‘Rugby Tour’ and the political and social ructions it provoked, stirred our conscience as a nation — and revealed the nasty side (and the heroic side) of many people … from the powerful to the humble. Mihirawhiti Searancke Really Tom and others like him were the Julian Assange‘s of then along with Owen Wilkes and other’s who worked tirelessly on issues that gave us the strength to ask questions of a then very Anglosaxon male outfit. 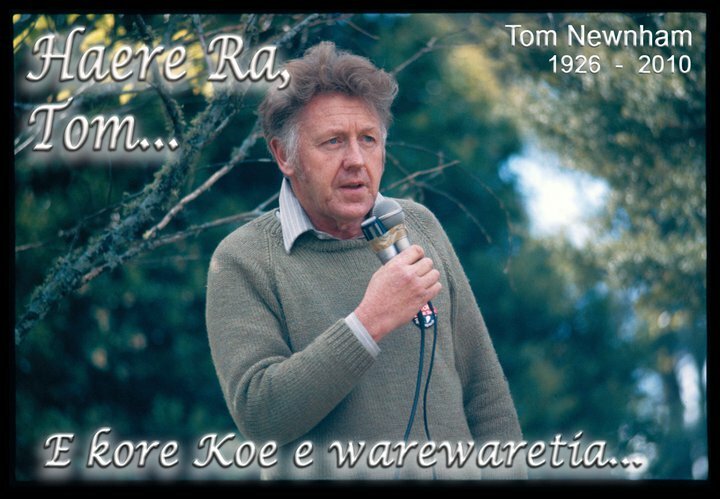 RIP Tom and say hello to Owen and Sid, Hana and all those other greenies, anti nukes, Maori rights supporters. Yes, Well said. Thank you. Along with Merita Mita, whose film Patu! recorded the intensity of the anti-Tour protests. Tom’s efforts to help motivate and organise — and give voice to — the courage of ordinary New Zealanders motivated by outrage at social injustice was his life’s work. Thank you for the information and the beautiful foto with Tom. I meet Tom in 1994 in Auckland in his home in Dominion Rd. and we had spoken long time about Dr. Norman Bethune and Kathleen Hall. Some years after them we wrote together by E-Mail. I recontacted him with Ma Baoru in Baoding (China) and it was good for the exchange of students between New Zealand and China . 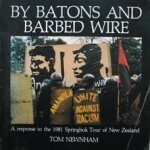 My medical historic interests in Dr. Norman Bethune has given me connections around the world and Tom in NZ was the farest. Goodbye Tom and thank you for all. I had no idea that such an illustrious Totara of Te Wao Nui A Iwi had passed. As eulogised and in the same frame as Merata Mita but also Marx Jones and latterly (Later Justice) Phillip Recordon. The Anti Apartheid Movement shone such a beacon on apartheid that the world could not resist. Batons and Barbed Wire unleashed the minds of the undecided in the 1985 No Tour 85 Coalition. It is regarded among the must read protest books in Australia today… e noho ra e hoa.Kia moe pae ana i to moenga roa.Pai Marire.